Double height kitchen with ladder Contemporary kitchen designed and made by hand with flat panel cabinetry and open shelving. Two grey tones are used with red accents to contrast and create dramatic elegance in this double height space. Particularly beautiful as the new bespoke kitchen sits next to the property's original french doors and folding shutters. 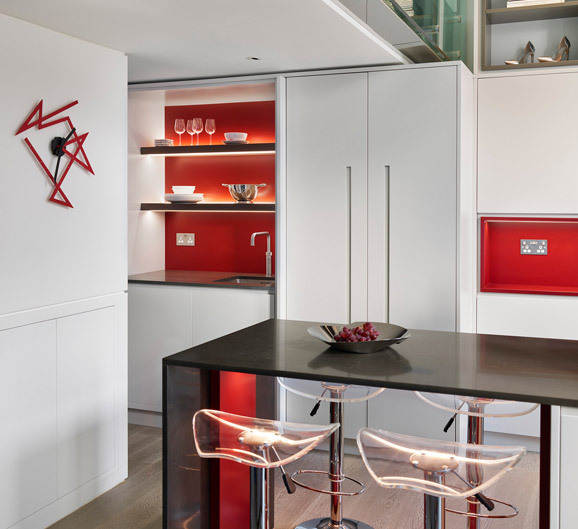 Kitchen with dramatic red accents LED lighting brings this double height kitchen to life by enriching the red accents around the space. 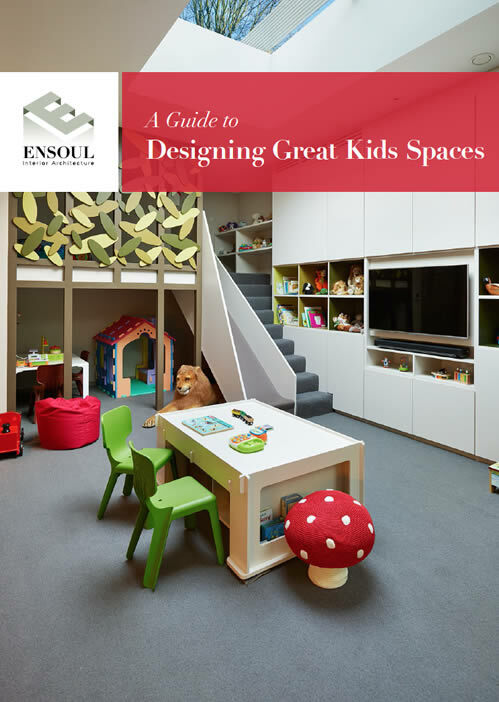 Open shelving provides an opportunity for personal touches and visual interest. 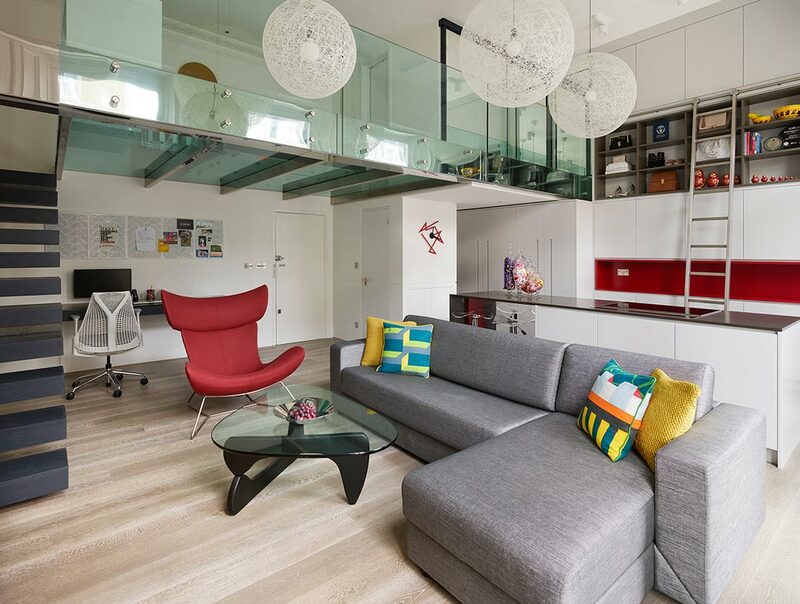 Mezzanine gallery hangs over this space with glass balustrade. 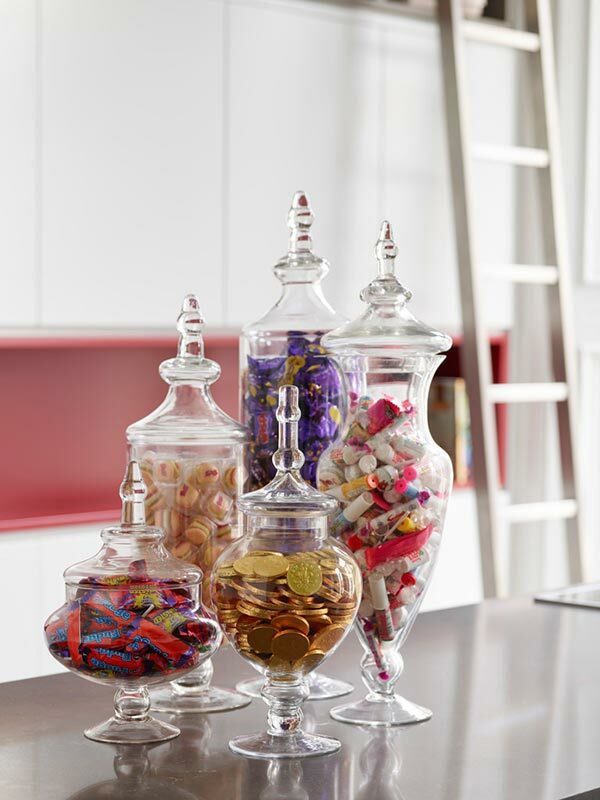 A Sweet Kitchen A really simple way to accessorise this space was to feature different sized glassware with our client's favourite sweets. 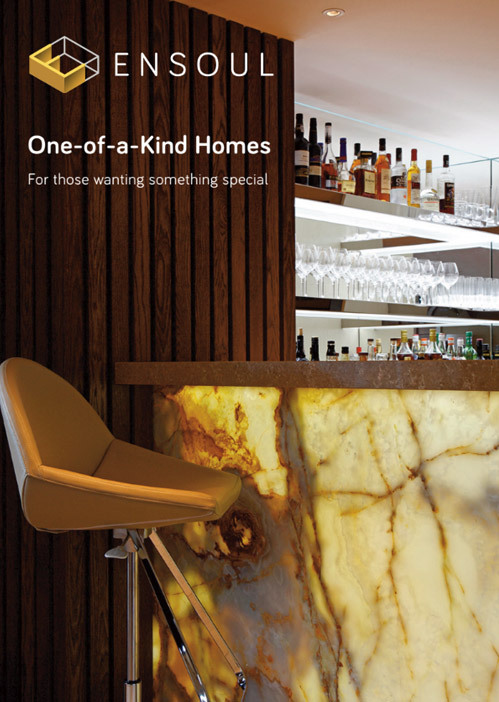 Delivers interesting shapes and fantastic hits of colour, as well as a delicious treat. Who can resist? Cantilever Staircase This almost black oak staircase appears to float up to a mezzanine level above. Red statement armchair looks amazing in contrast with the black staircase and built in desk that forms the under stair office area. 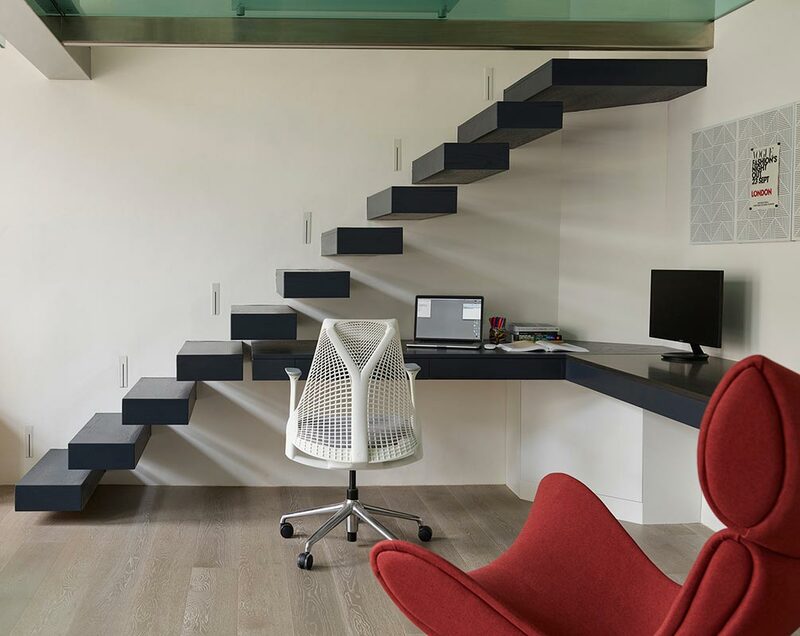 Integrated Home Office We designed this built in desk to look as if it is a continuation of the cantilevered staircase. Oak with a dark stain brings it together to become a highly sculptural corner of this luxury apartment. Plenty of room for two monitors and working. Mezzanine Master Bedroom Master bedroom and ensuite on a glass mezzanine floor over looking a double height kitchen and living room. 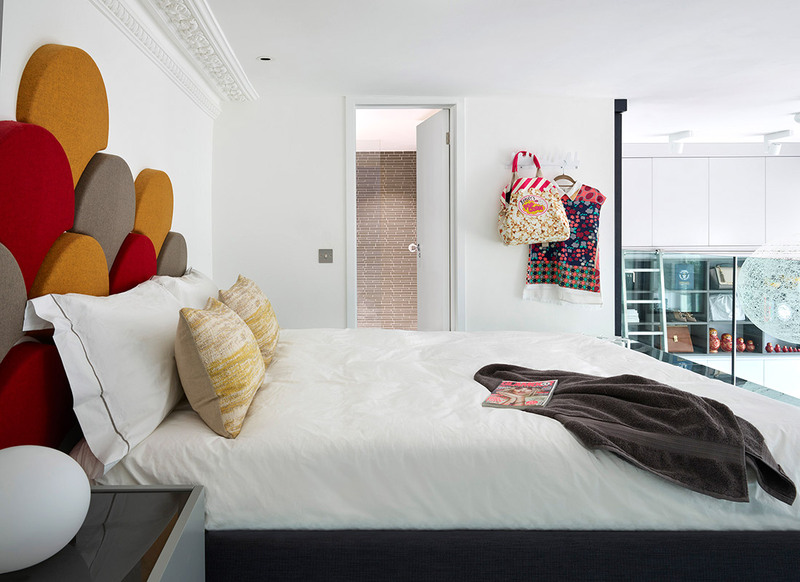 Bespoke headboard is made of individual acoustic panels. Hollywood glamour on top of a fabulous dressing table provides our client with the finishing touch to her perfect bedroom. Glass mezzanine floor with chrome steels and glass balustrade. 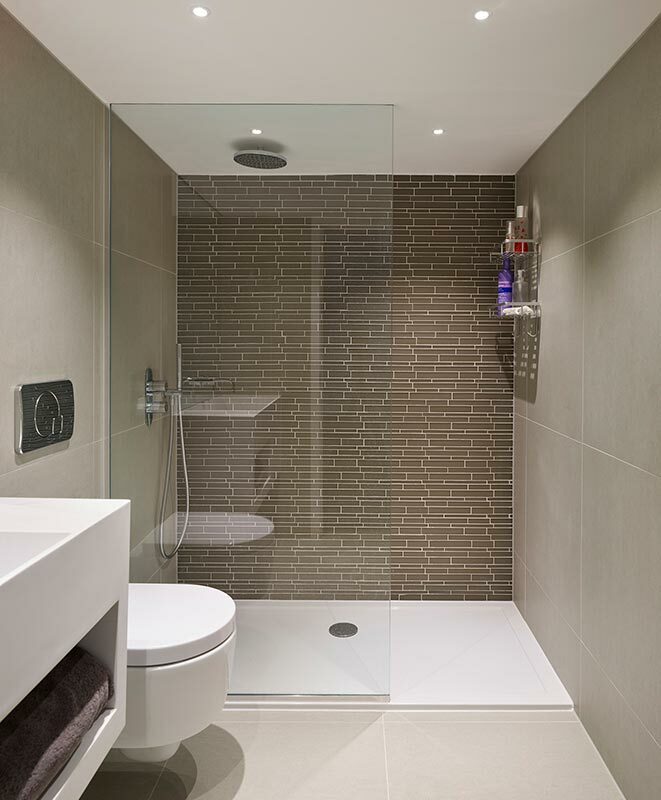 Stylish ensuite A beautiful and compact shower room which is off the master bedroom that sits upon a glass mezzanine floor. 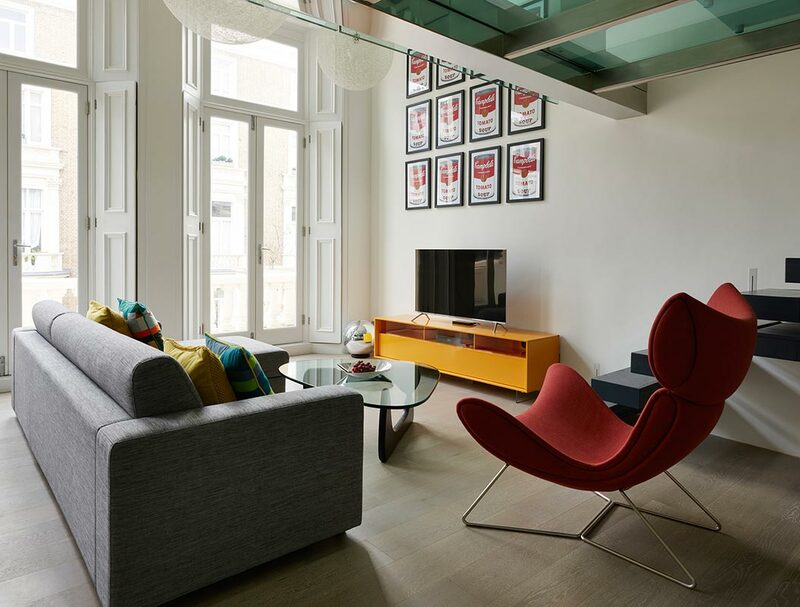 We were briefed to strip out, remodel and refurbish this apartment into a stunning home with lots of design features for a single professional. 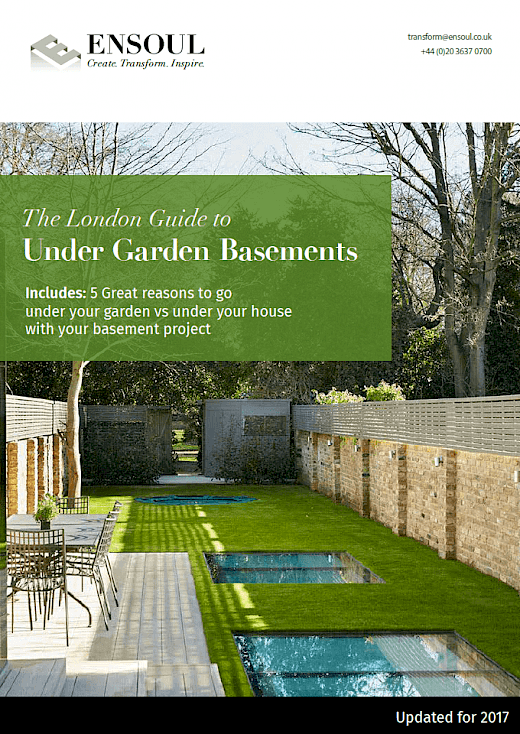 Our brief was to include a full furniture and styling package as it was for an international client setting up home in London from scratch. 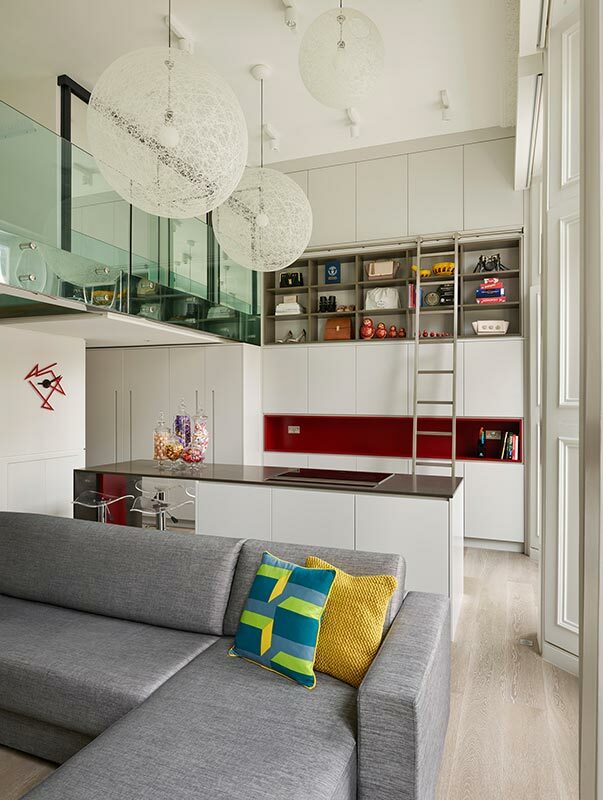 A double height, contemporary kitchen with steel rolling library style ladder. A dramatic lighting design which is as functional as it is beautiful. Elegant living area with sofa bed for overnight guests. Compact but beautiful built in office under a cantilevered staircase. 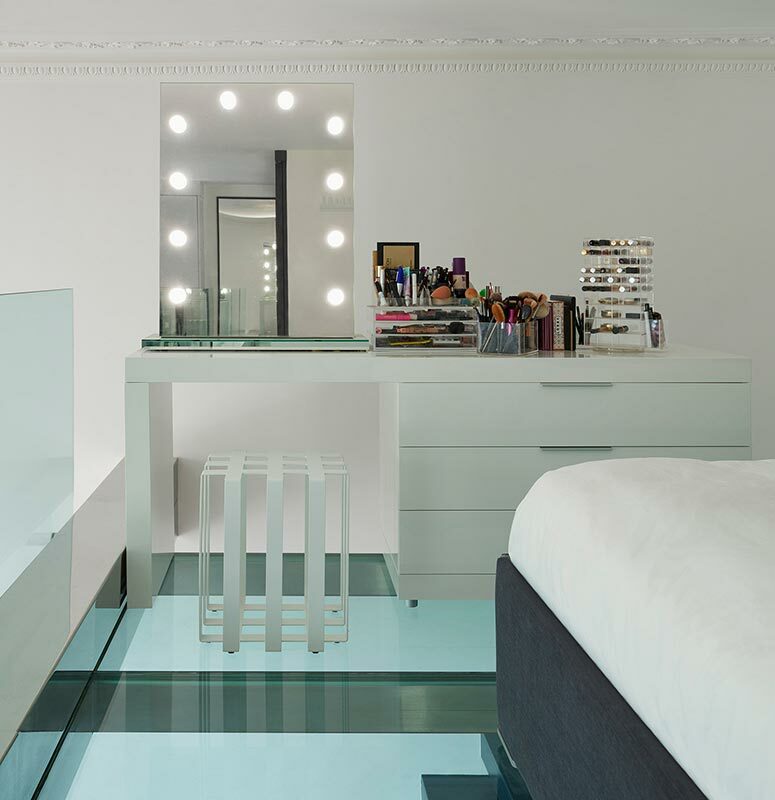 Glass mezzanine master bedroom floor with beautiful make up area and ensuite.